Never thought I could do it I never thought I could go gluten free, but now I have eliminated sugar from my diet, too. I feel so much better, that I don't miss them or want either of them any more. I gave them up in the summer of 2014. Does profcarol belong in this group? Gone gluten-free I'm seeking a relationship w/ a woman that also has a gluten free diet. Does matthew2009 belong in this group? Does atheistrising belong in this group? Does newnconfused belong in this group? Does sylas26 belong in this group? 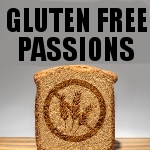 Have been dealing with gluten related issues for the past 3 years now.. Does punksnotdead009 belong in this group?